Brand Development, Brand Refresh, Rebranding or something in between? What does a brand need to help meet its business objectives? It’s obvious for all new businesses, products or services. They’re starting from scratch, from research and strategy up and need Brand Development. But what about existing brands who have identified a need to make some kind of change? How can they tell if they should be looking at a Brand Refresh or a full Rebrand? A Brand Refresh V Rebrand or perhaps even something in between. Let’s take a look at the differences and then start with a deep dive into Brand Refreshes. Why do a Brand Refresh? I want to update/evolve our current brand mark (logo). I’d like to change the look of our visual language – colours/fonts/imagery – they’re so outdated. I need to update our marketing materials, they look awful and don’t resonate with our customers. If we don’t make a drastic change to our existing brand, our business is likely to fail. Our brand strategy is no longer relevant. We need to quickly and completely change how people think of us. Our entire story, approach and image needs a reset. And if you’re thinking about some things from each of the sections above, you’ll probably need some kind of hybrid solution. Hybrid solutions aside for now, Brand Refreshes and Rebrands both breathe new life into brands. They differ in terms of how much change your looking for and the amount of work required to make the change. Put simply, if a brand were a person, a Brand Refresh could be seen as a makeover; a Rebrand would be full plastic surgery to change what lies beneath, and include a values and personality transplant as well. When you compare ebay and airbnb side by side, it’s obvious to see both have had a visual refresh, but dig deeper than their Brand Marks, and you’ll find that airbnb had a complete strategy overhaul as well. ebay got a refreshed look but not a lot really changed – a Brand Refresh. 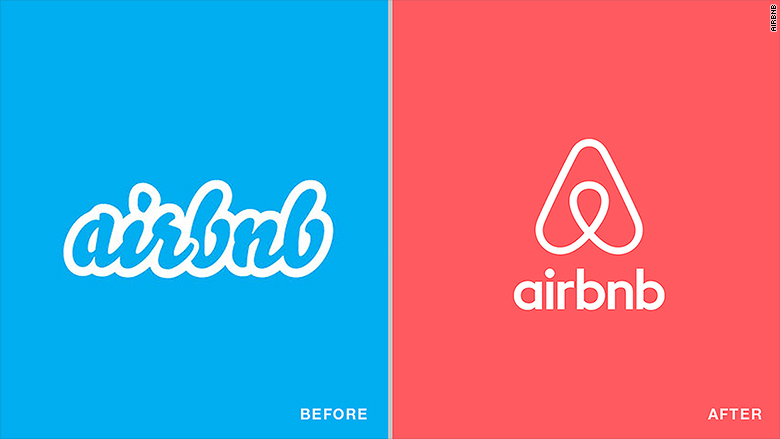 airbnb completely changed how they were postioning themselves in the marketplace… as well as the visual makeover – a Rebrand. So, let’s start by looking at the simpler of the two and review the process of refreshing a brand. As businesses grow and evolve, brands need to stay relevant within their current marketplace. A refresh is a tactical manoeuvre to stay connected to your target audiences. No one really wants to work for and with a brand who looks like it’s stuck in the 90’s, when competitors are adopting fresher visual identities and newer ways of communicating with their audiences. A refresh can ensure you don’t loose market share by looking and sounding outdated. How do you do a brand refresh? You’ve done the research. You know your customer and that in order to keep them engaged, you need a makeover. You may need a tightening up of your Brand Strategy – but essentially your strategy doesn’t need to change radically. You may need new messaging as well as a new look. If so, you may want to refresh your Brand Story, Tone of Voice and create a new Positioning Line based on your existing strategy, to take to market. Then of course, you’ll need to roll out the refreshed branding across all your Brand Touchpoints. When is it time for a Brand Refresh? A Brand Refresh gives brands a new lease on life and keeps a business’s image in touch with the current marketplace and can even open doors into new customer segments. Here are some instances where a Brand Refresh could be just the thing your brand needs. Your brand looks tired. Your brand might have looked amazing in the late 90’s and really resonated with your target audience at the time but it’s actually working against your business now. You may be perceived as old school, behind the times, just a bit daggy etc. This perception is affecting your ability retain existing customers, connect with new target audiences and is even perhaps affecting your ability to retain or attract great employees. Your brand is preparing for growth. Are things about to change? Are you introducing new products, planning on expanding, about to merge or trying to attract investment or potentially a buyer for your business? When you’re selling your home you typically bring it up to scratch to attract the best potential buyers… similarly if you want your brand to be in great shape to put its best foot forward, a Brand Refresh may be what’s required. You’re a start-up brand who is ready to grow up. Several years ago you started on a shoestring and your brothers’ friend (who wasn’t actually a designer but had a mac) helped you pull the brand visual assets together. It wasn’t really planned, it just evolved. The brand is now holding its own, it’s poised for growth but it needs to have an overhaul to deliver a more resolved and confident face to take the business to the next level. Your brand is coming across as a bit schizophrenic. Over the years many different designers have had a bit of go at designing different Touchpoints for the brand and there is now no consistent look or voice. You look one way on your website and another when people visit your showroom. You want to pull it all together in one strong brand look and feel to help target audiences to understand who you are and connect better. Your brand isn’t connecting with your target audience any more. If you’ve been in business for a while and your audience has changed while you’ve stayed the same. You need to become relevant again. Your brand just doesn’t feel like you. Internally your people act and feel very differently to the way you portray yourselves in the marketplace. You want to express yourselves in the way you really are. 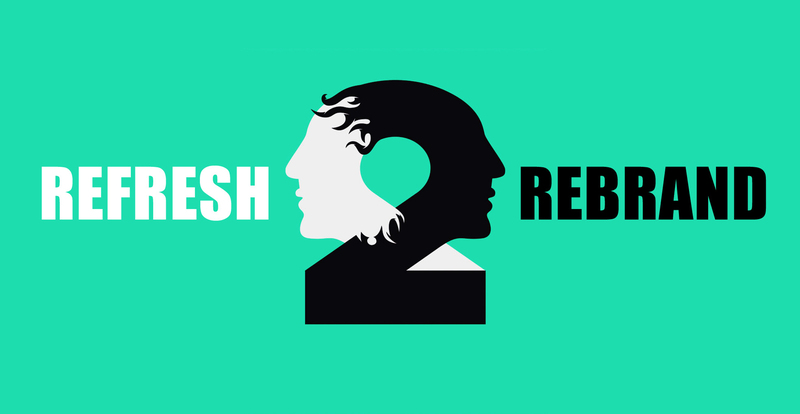 How do you approach a creative agency for a Brand Refresh? It’s important to remember with a Brand Refresh, it’s pretty much skin deep. If you don’t already have robust brand strategy already behind it, a visual tszujing may not solve the business objectives your company is looking to achieve. Is my brief ready? Can I brief the agency with 100% clarity on my target audiences, our competitors, our desired position in the marketplace and the brand strategy in place to take us there. If your strategy is right and you know your customers, share everything you know with your branding agency. Combined with some limited research around competitors, you’ll have the basis for a strong creative brief for your agency to begin developing concepts for your brand’s refresh. If you think there are some gaps in understanding the current state of play for your brands, discuss with the agency if they have the capabilities to get you up to speed. When you’re looking for the right creative agency, do your research. Ask to see examples of their Brand Refresh work and what it looked like both before and after the refresh and ensure they can articulate why changes were made. This will demonstrate they’re thinking strategically and not just providing a new look for the sake of a new look. Identify the business goals you believe could be met by refreshing your brand. If you are unsure if you should proceed, undertake research to understand the existing brand equity and where you’re positioned in the minds of your key stakeholders, employees, current customer segments and desired customer segments. If you identify that a Brand Refresh will help you achieve your goals, set measurable objectives so you are able to review results post the implementation of the refresh. Then start on a competitors analysis to get a picture of the world your brand lives in. Understand where they are positioned in the marketplace, their key value propositions, positioning lines, tone of voice and visual language. We want to learn from them, but not emulate them. While you’ve identified that your brand strategy is sound, but it may be worth sense checking it before you launch into investing in your brand refresh. If you want to launch your refreshed brand with a strong positioning message, you may also want to consider developing a Positioning Line, an updated Brand Story and document any new Tone of Voice. These elements should be locked in before of any new visuals are developed. These core elements can help inform what your Brand Mark and/or Visual Language should look like. Once you have identified the most important Touchpoints for your brand, you can have visual concepts created with them in mind to express your new look and feel. While at this concepting stage, they will not be final designs, a conceptual demonstration of how the new Visual Identity could look and feel will really bring it to life for you. These concepts should cover off your Brand Mark, and Visual Language including colour palette, fonts, photography/illustration/iconography style etc – the fundamental Visual Identity for your brand. Refine and approve one conceptual Visual Language (including a refreshed Brand Mark if that is part of the requirement). With the concept refined, your branding agency can commence to (quote first of course) then design all of the individual new Brand Touchpoints needed to roll out your Brand Refresh. The Brand Touchpoints to consider in a Brand Refresh are everywhere your brand comes in contact with your audiences. Remembering that these are both internal and external audiences. And don’t forget to think about the less obvious or visual Touchpoints, from on-hold music to the drinks you offer in meetings. Think about the whole customer experience feeling seamless everywhere you connect with them on their journey with you. Launching your Brand Refresh is an exciting time. For any business with multiple employees, this should always start with an internal launch before taking it to market. Your employees are one of your most important audiences of all as they will be at the coalface once the Brand Refresh goes out into the world. You want them fired up and proud of the refresh and know how to talk about it to people outside the organisation. What it means, what your new story is all about and why the business undertook the refresh. Employees play a huge role in supporting new branding. If your staff can’t articulate your new story, customers will have a harder time understanding it. If you’ve achieved all your goals, set new ones. Or if you haven’t, you’ll be better informed to identify what’s not working – which may be brand related, or may be something completely different. Either way, you’ll have the basis to develop next steps and work on tactics to address the issues. What does a Brand Refresh cost? The costs to refresh a brand can vary enormously depending on the scope of your project… and who you decide to work with. The size and experience of an agency impacts on what they charge. This can be the difference between tens of thousands to hundreds of thousands or into the millions for Brand Refresh that includes fit outs of hundreds of stores/signage/livery or big ‘To Market’ campaigns. You might want to get started on a fresh new look but if you want to create change with insight, you may need to research the current market. Yes, you can crunch numbers but what you really need to get out into the marketplace and understand customer segments and journeys. Existing equity in your brand and what’s going to connect better with your customers. $30K – $80K would provide primary research from experienced researchers. Smaller organisations may be able to refine these costs but costs will vary depending on the scope of research required. While we’ve identified that undertaking a Brand Refresh doesn’t mean that your Brand Strategy is changing, the new approach to articulating your existing strategy still needs to be considered. A sense check of existing strategy, brand architecture, and the new positioning and story should be reviewed. Depending on the elements required and the number of internal stakeholders who will have to be taken through the brand core approval process & $20K – $40K would set you up for developing the refreshed creative/visual identity for the brand. Creating the refreshed Brand Identity should be presented in two stages. The first being conceptual design (ideas), the second being rolling those designs out to your Brand Touchpoints (final design). This is all done in advance of your go-to-market Implementation (the Connect stage). Concepts could set you back a few thousand with a sole operator designer – but they may or may not understand how to translate strategy to design, Mid-sized agencies you may be looking at $15K – $20K and for large agencies – get out the Black Amex. Please ensure you budget in rolling out your preferred concept across a number of Touchpoints allow $20K which will ensure that you have some final design files to start implementing but it will also prove the visual language will actually work across a gamut of design Touchpoints on and off line. These will for the basis of building a successful brand style guide if you’re wanting one of these. Brand Styleguide Costs once again depend on scope and complexity of what you want to document. From as little as $6k for something quite basic up to $25K for in depth Brand Style Guides that cover all basis. They are often quoted on the basis of number of pages anticipated to be included. Finally to Connecting. Depending on your go-to-market strategy, what is required from an implementation may become the biggest cost for some brands or alternatively it might the smallest. For brands that have a lot of bricks and mortar – signage, store or office fit outs, uniforms, vehicle livery etc can quickly see costs adding up. Most websites will need a refresh and while that could be just cosmetic, if the customers have changed their user experience baseline may require you update the customer journey on line and develop a whole new website. Consider your internal launches which are incredibly important to get the who team backing the Refreshed Brand and also if you are planning on an advertising or event based relaunch to market. So the answer to how much does a Brand Refresh cost is much like how long is a pieces of string. But of course a strong Brand Refresh is an investment in your brand and is answering a business objective set to either save or grow profit in some way shape or form. Just a couple of our favourite Brands to life® Brand Refreshes. 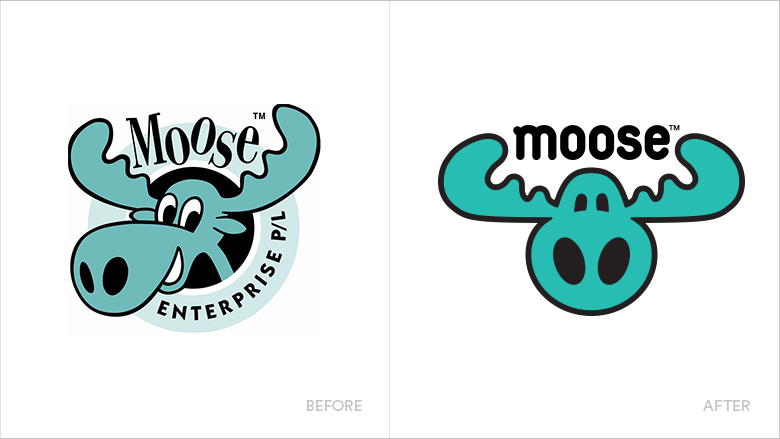 Moose wanted to grow up their branding to reflect their leadership position in the worlds toy category… but retain their sense of fun. 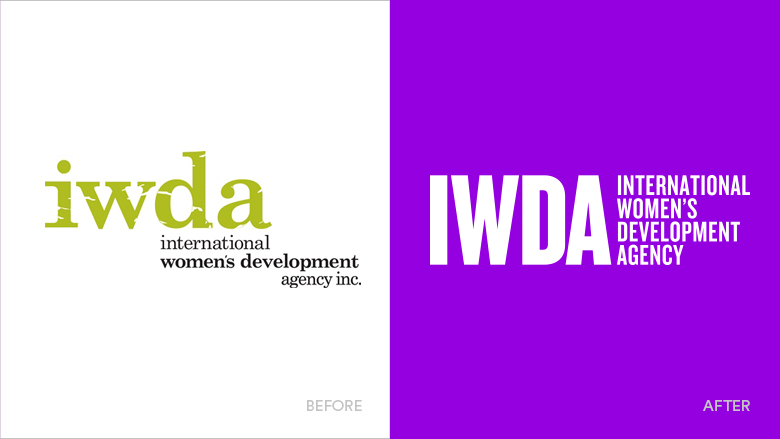 The International Women’s Development agency wanted to empower women to lead, and actually have a brand that felt more like a leader, and less apologetic, more fierce. And you can see more Brands to life® Brand Identity Refreshes here. By now you should have a good idea of what Brand Refresh is, when you might consider one and what the process involves. If you want to know more, let’s talk. But if you’re unsure about your existing brand strategy being right, and you think a full Rebrand might be what you need, here’s some more information from Brands to life® about Rebranding.